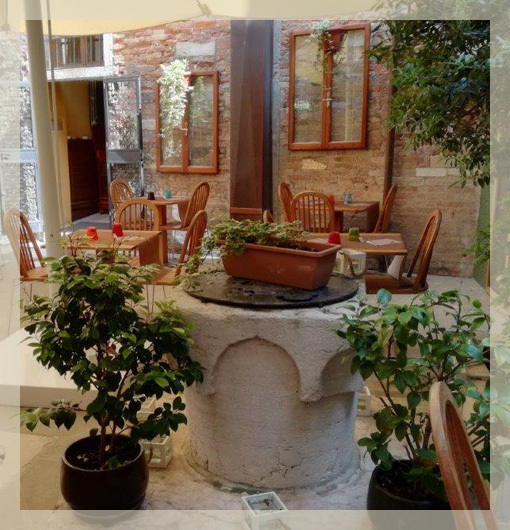 A delightful old Venetian courtyard is the pleasant prelude to the Locanda La Corte, an exclusive guest house in the heart of Venice. Locanda La Corte is an elegant, comfortable guest house right in Venice’s historical centre, just a short walk from St Mark’s Square. The property has several rooms in three separate buildings, all overlooking this courtyard, an enchanting, charming place. The bright rooms available to guests at Locanda La Corte are a perfectly match for the varying needs of those wishing to holiday in Venice, enveloped in the typical atmosphere of the city of lagoons. Some are more comfortable and simple while other are more elegant and sophisticated.